What is TPO Roof Membrane? 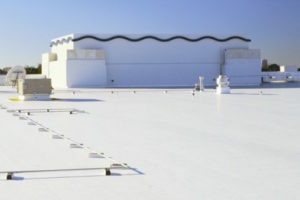 TPO newly installed roof by Christian Brothers RoofingTPO membranes are a heat-weldable blend of polypropylene and ethylene-propylene rubber components. They can be mechanically attached, fully adhered, or ballasted. The Heat-welded seam technology forms an impermeable, monolithic roof membrane seam for optimal strength and leak prevention. TPO material is available in a wide range of preformulated colors with custom colors available as well. It comes in a range of thicknesses and price options, ranging from 45 mil to 80 mil, and is suitable for a wide variety of facility applications and budgets. TPO offers proven performance in replacing or recovering existing roof systems and is one of Christian Brother’s Roofing’s favorite commercial roofing materials. High-Performance Energy Saving Commercial Roofing System. TPO installation is among the most rapidly growing commercial and industrial membrane roofing materials. This membrane product has proven itself to be on the forefront of single-ply roofing technology. TPO membranes offer impressive performance features and have an added benefit of being environmentally sound. The material itself has highly reflective properties meaning that TPO membranes naturally reflect away a significant amount of the harsh sunray energy that normally gets absorbed into other roofing materials and transferred into a building. With much of the undesired thermal energy being reflected away, building owners often find substantial cost savings just from the reduction in their HVAC reliance in climate controlled facilities. TPO provides LEED credit qualification and is Energy Star rated and Cool Roof Rating Council approved. Further, TPO requires low maintenance, is highly versatile and offers resistance to various environmental pollutants and chemicals. It is also tear resistant, abrasion resistant, puncture resistant, and offers excellent wind uplift resistance making TPO an ideal material to withstand our aggressive Midwestern weather. There are a number of different manufacturers producing TPO products; however, GAF’s TPO Membranes stand above all others. Christian Brothers Roofing relies exclusively on GAF Everguard and GAF Everguard Extreme TPO membranes for our TPO commercial roofing projects. GAF TPO has been engineered for long-term performance, and independently laboratory tested to outperform and outlast competing TPO Products. GAF offers a fantastic selection of preformulated colors to help achieve most aesthetics, but additional custom colors can also be ordered. When Christian Brothers Roofing installs your TPO commercial roof system, you can be confident that you’re getting the highest-quality TPO material and installation possible in the Kansas City Metro Area. We have been awarded GAF’s Master Elite Installer designation and their President’s Club award for multiple consecutive years. We train continuously to make sure that every Christian Brothers Roofing install is executed perfectly and we always stand by our work. 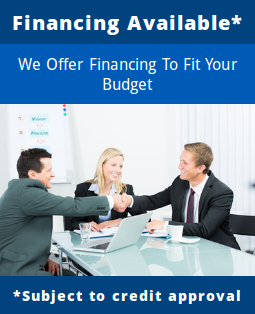 If you like an estimate for a TPO low slope roofing system for your commercial property or business please call us (816) 453-7663 “ROOF” (913) 800-7663 “ROOF” or email us today and we will be in touch to schedule your roof evaluation.